Choosing an adjustable bed isn't the same as choosing a standard option. In addition to trying them out for size, you need to consider the different motors, warranties and controls. Brands can also make a difference. Learn how to find the perfect adjustable beds for seniors. Once considered a luxury, adjustable beds are fast becoming a popular option for people looking for high-quality sleep systems. 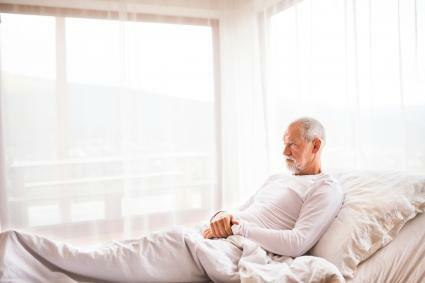 As baby boomers enter their golden years, they're realizing that an investment in a good night's sleep can pay dividends in the form of better health and well-being. If you're thinking about purchasing an adjustable bed, you should familiarize yourself with the different features and options. Unlike traditional mattresses, there's more to consider than just how the mattress feels. Understanding the different components will allow you to make an informed decision. As you gather research before choosing an adjustable bed, the durability of the motor should be a key consideration. One way to evaluate the durability of the motor is to see how long the manufacturer's warranty covers it. The longer the warranty, the more likely it is that the motor is built to last. Another key to evaluating durability is determining whether the bed's motor is an AC or DC. Alternating current (AC) is the type of electricity commonly used in homes, while direct current (DC) is found in automobiles. DC motors tend to be smaller and less expensive, and they are typically quieter. On the other hand, AC motors, while louder, tend to be more durable. Review the menu options. Are they intuitive or will you have to keep the user guide on your nightstand? Understand the difference between wired and wireless remotes. If the bed has a wireless remote, you should know that wireless signals sometimes interfere with other household appliances, like cordless phones or microwaves. And if you're prone to misplacing the remote, remember that the bed won't move without it. If you lose it, you'll have to pay to replace it or get used to the last position in which you left the bed. With an adjustable bed, the mattress isn't the only component to consider, but it's certainly an important one. Many options are available, but memory foam mattresses are a good choice for seniors. Memory foam mattresses are typically most comfortable and can provide a better night's sleep for seniors. Memory foam is also better for durability and flexibility. The right mattress can provide pressure relief - an important feature to combat the aches and pains typically associated with aging; memory foam is highly rated for this. Find out exactly what your warranty covers before you purchase. With an adjustable bed, different components can have various warranty periods, and may only cover certain issues, so make sure to read the fine print on each one. Find out how much the manufacturer charges for a service call. Unlike a traditional mattress, an adjustable bed has moving parts that can break down. Understand what those expenses might be before making your final decision. Choosing an adjustable bed should include some research and some trips to mattress stores to feel the mattresses to see if they're comfortable for you; remember that there is not one mattress type that is universally comfortable for every person. Adjustable beds typically cost more than traditional beds. Note that adjustable beds may not include the mattress in their selling price. Buying from a discount retailer like Costco can save money, but if the adjustable mattress is deemed "medically necessary" by your medical provider and you are a Medicare recipient, the cost of the bed may be partially or completely covered. Adjustable beds for two are available though will probably cost more. These beds allow partners to personalize their adjustments on each side and are a good option for couples who differ in their sleep needs and comfort preferences. Furniture and mattress stores usually offer a good selection of adjustable beds, but you will have a larger inventory from which to choose by buying direct from adjustable bed manufacturers. Craftmatic is one of the most recognizable adjustable bed makers. They offer a 30-day in-home trial so customers can try the bed out before committing to the purchase. Leggett and Platt offers a variety of adjustable bed models including premium and performance models. Though their beds are fairly expensive, they're regarded as some of the best. Tempur-Pedic adjustable beds come with wireless remotes and a preset feature which quickly returns the bed to the desired neutral position when desired. An adjustable bed can make a big difference in the quality of your sleep. Spend some time doing the research to make the right choice for you.